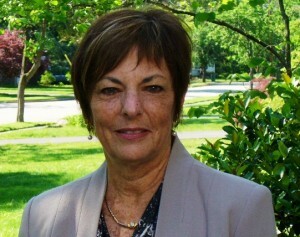 About the author: Barbara Dahm SLP-CCC is a Board Recognized Specialist in Fluency Disorders. She is the director of Communication Therapy Institute, a clinic that specializes in the treatment of stuttering. Ms Dahm has extensive experience working with children and adults who stutter in both group and individual settings. Since 1987, she has been involved with the treatment of nearly 2000 people who stutter. Today there are branches of CTI in Israel, USA and via Online Therapy. She is a member of the Association of Israeli Communication Clinicians, a founding member of the International Fluency Association, a member of ASHA Special Interest Group in Fluency and Fluency Disorders and a member of several self-help groups for people who stutter. She received her degrees from Boston University and has over 40 years of experience as a speech pathologist. While treating people who stutter, she discovered the benefits of the speech processing approach to therapy. She authored Generating Fluent Speech: A Comprehensive Speech Processing Approach (1997) and Dynamic Stuttering Therapy (2007). She has presented her approach to professionals and people who stutter in The Netherlands, England, Germany, Denmark, Canada, Israel and the USA. In this video Barbara Dahm talks about making the therapy experience successful. She explains that people are too often frustrated by their experience in stuttering therapy, because the focus is wrong. Even though it is now common knowledge that there are differences in brain function between fluent and stuttering speakers, this is often ignored in therapy and the focus remains on the fluency and stuttering. From a behavioral perspective, she describes some of the differences in speech processing, emphasizing that normally speech is produced automatically. When people who stutter develop the automatic and natural process for speaking, therapy becomes a challenging and rewarding experience. The specific area would be stuttering therapy. It would be of interest to adolescents, adults, families of people who stutter, and clinicians. A very good video. Thanks. How would this fit into your ideas? Reduce the concentration on the words by concentrating on communication, which PWS have not practiced as much as non-PWS. This effort will be carried out by our conscious brains. Then, when that has improved, after a lot of repetition over a period of time, communication will be passed to that part of our subconscious that deals with breathing / driving / walking without much thought at all. That fits in very well. In normal speech production all the attention is on ideas, not the words that express the ideas So yes, concentrating on communicating is very helpful. It’s amazing how doing this allows so much of the motor programming to become automatic. Great video. It was an interesting video to watch and to listen to. I see a wonderful speech therapist since last August and I still go to her once a week. She helps me so much and it is beneficial for me because I am a covert stutter and she helps me with that and also with fluency and even with being a good communicator. My speech therapist is just wonderful!!!!!!!!!!!!!!!!!!!! Armina, I’m so happy that you have joined this conference. You will meet many wonderful people who stutter and you will realize that any sane person has no reason to think that you are crazy because you stutter. When you see the beauty in yourself, you will be less concerned about what others think. This was a very insightful video, thanks for posting. Like you said people are too often frustrated with their stuttering therapy. Have you found that focusing on the differences in brain functions versus fluency itself has made therapy a more enjoyable and successful experience for people who stutter? Also, I am wondering if this approach would be best for adults, or do you think it may also be beneficial for children? Yes, I have found that helping people change the way they produce speech makes the therapy much more enjoyable and successful, because clients begin to understand how they inadvertently create stuttered speech. It takes away a lot of the fearful and anxiety provoking mystery about stuttering. Also, they experience the feeling of ease and comfort when not trying to control the words and how to get them out. Nevertheless, therapy is just that. It is always somewhat difficult for people to trust that they can speak automatically and it’s hard to give up fears. The success rate of my clients is much greater than when I used other approaches. It is a beneficial approach with everyone, because it reinforces normal processes. However, the way to go about doing the therapy has to be suited to the level of the client. As a future speech language pathologist, I found your video to be very informative and thought provoking. I just wanted to let you know that the examples you gave on what to focus on during therapy, such as have the client give up some behaviors, change some thoughts and feelings, and really think about the changes. This was a very powerful message that gave great specific examples of things to work on in therapy. Thank you for the great video! What a great resource your video is! Not only for PWS, but for aspiring SLPs such as myself. The brain is such an interesting structure, the role that thoughts play in your life and who you are is really quite amazing! I’ve read a book (My Stoke of Insight) that mentioned how purposely changing your thoughts and inner self-talk can actually change the neural wiring of the brain, and as you put it, “change your state of being.” This perspective has stuck with me ever since I finished the book, and I enjoyed you talking about incorporating this into therapy. Negative/worrisome thoughts can be such a difficult habit to break, but if it’s something that can improve some aspect in your life it’s well worth the perseverance! You mentioned that you show your clients what the normal processes are (in formulating speech I believe? ), how do you go about this in therapy? Also, you mentioned that you do activities (to practice changing those processes? ), would you be able to give me an example of one of those activities? Thank you for your interest. You are correct. I do show clients the normal process of formulating and producing speech. I did write a workbook that has activities in it. One example of an activity is related to the way we formulate internal speech. PWS are focused to some extent on words. They might be thinking about words, planning words, monitoring words. Normally fluent speakers are focused on the general ideas that they are expressing. The goal is for the PWS to become aware of the difference. To do this we start with silent language development. I have the client calculate a sum of several numbers. They do this silently and see that without thinking about saying the words they are developing language. Then they keep talking silently with automatic articulation and compare the internal process to how it is when talking aloud. Once they are doing it the same way, they practice speaking this way at the syllable level, the sentence level and in spontaneous speech. I hope this is clear. It’s kind of hard to describe in a post. I liked your video. I’m a first year graduate student and have yet to work with a PWS. I’ve never been sure where to start therapy with a PWS. However, your video has given me some new insight. I guess I’ve never considered that PWS just produce speech in a different way than non-stutterers. “We have to change the way the brain works” – how do we change a client who has developed extreme avoidance strategies? Does this work the same way as having them repeating an activity over and over? Do you think that it would be more difficult for someone who has been using avoidance strategies or do you think it would be similar to someone who has severe fluency difficulties? What are some techniques that you have used to promote positive self-talk/thoughts for your clients that believe they might not be making leaps of progress that they are wishing for? You have an adventure ahead of you. Working with PWS is both challenging and rewarding. I see you are looking deeply at finding ways to really help. Yes, we have to change both the procedural network of the brain for speaking and the thoughts that can affect the way the brain functions. This has to be done simultaneously. I help clients to see how avoiding speaking, words and sounds actually negatively affects the process so they work at making both cognitive and functional changes. I help them to be aware of the thoughts behind the avoidances and think of alternative possibilities. They are guided to reframe their thoughts. A lot of the mindful and cognitive therapies that have become very well know in the last decade are helpful. I suggest that you familiarize yourself them. Hi Barbara – great contribution to ISAD. I love that you were brave enough to do a video. It was very engaging. It’s great to provide people – both consumers and professionals – with information on alternative possibilties to traditional fluency therapy. As we both know, traditional therapies often don’t work for many people. As a graduate student in speech-language pathology, I am grateful to have come across your video as you provide some really great tips and insights in helping PWS optimize their therapy experiences. I found it particularly interesting to learn more about the neurological aspect of stuttering and the implications of that, which is to have the clients become more cognizant of their communication and behaviors. Although your message is targeted towards PWS, this information is highly useful for clinicians in counseling and educating the client, so that we may help the client take on a more assertive role in therapy and make changes! Thank you so much for your insightful video!! I am a second year SLP graduate student and recently I presented in my fluency class on the neurological differences between PWS and people who do not stutter…but had not really pondered the implications of these differences. What advice would you give a new SLP working with PWS? Do you utilize either fluency shaping or stuttering modification techniques with your clients? After reviewing the previous comments, I really appreciated your response to Mandy’s post in which you described therapy. Are there any resources you suggest for clinicians who wish to utilize these strategies? Abby! Great questions for this author I have many of the same questions and look forward to her response. No I do not use fluency shaping techniques, because they require monitoring speech and I see that as control that does not allow for developing automatic speech production. I also do not use pullout, cancellations and the like. I do encourage my clients to be open about stuttering and some desensitization is very important. Rather than using voluntary stuttering, I do some cognitive work them. I like NLP and CBT. As far as the activities directly related to speech processing are concerned, I did write a workbook that can be used with clients aged 12+ or adapted for use with clients too young to use the workbook. I do not want to advertise the workbook on this site, but if you contact me personally, I will tell you about it. Hope this helps. I really enjoyed watching your video. I found it very insightful and helpful. I am a second year graduate student and am beginning to work with PWS. I remember working with a client with childhood apraxia of speech and changing her neuromotor pattern for speech production by practicing words over and over again. Is this similar to what you recommend? What kinds of words and phrases would you practice with? I think this is a great technique to try with clients so that rote phrases and words become more easily produced. In your response to Melanie, I noticed that you mentioned ‘mindful and cognitive therapies’. What do these entail? Are these specifically for PWS or are these more general and could also apply to people with word finding and narrative discourse difficulties. Thank you for posting this paper and I am looking forward to your response! Thank you for creating this very informative and thought provoking video. I particularly enjoyed how you describe the differences in the way the brain functions for a PWS (speak in words to get words out) compared to a person who does not stutter (brain transforms speaker’s idea into a language code). There is no “one size fits all” approach; however, guiding the client to change his/her thoughts, awareness and intent is another route to explore and hopefully will prove to be helpful for some individuals. Another reason I like this approach is because by targeting awareness and a person’s though process, it also provides counseling for the client that transcends the boundaries of fluency. This can be applied to all aspects of life. Thank you for sharing your video on how to make therapy a successful experience. I am a graduate student in Speech-Language Pathology and it was very beneficial to watch your video and get your thoughts on what makes a successful therapy session for a person who stutters. It was great to see you promote that it is not only important for the individual to want to change and work to have less disfluencies but also how important it is for them to change their mind and attitude. It was very inspirational how you focused on that fact that at time it may seem that change is hardly happening but that gradual changes are being made every time the individual works on therapy techniques as well as their attitude and mind. Thank you for sharing your ideas! I am currently a speech language pathology graduate student and I have often thought about what kinds of things I would do with a client who stutters. Based on my personal experience as a young stutterer and observations, I do believe your method is the most effective. Because stuttering is so complex, it is nice to hear you break it down to one thing: the brain and how a person who stutters thinks of speech production. You described very accurately the way a person who stutters thinks about speech production. The analysis of each word, the fear, the anticipation of difficult words and the attempts to formulate a viable motor plan. The goal is to obtain a level of “automaticity” (I am using your word) with speech where a person who stutters just speaks freely. I also agree that the emotional aspects should be dealt with in therapy. Changing the way a person thinks about their speech and essentially who they are and their relationship with stuttering is very hard. However, it is well worth it. I met a wonderful speech language pathologist when I was very young and she believed the same principles that you did. She was the only effective speech therapist I ever had. So thank you to speech language pathologists like you and I hope you spread the word. Thank you for your insights and I will remember your words as I embark on my career. I wish you and all the upcoming SLP’s who have responded to my video a very successful and rewarding career. I’m sure stuttering will be better understood in the near future as we learn more about brain function and that you will all have the joy of seeing your clients learn to communicate with ease and pleasure. Thank you so much for sharing you experience and knowledge on such a unknown topic. The emotional aspects of stuttering are so often overlooked, when they play a key role in the severity and frequency of the stuttering behavior. I am also a graduate student studying speech-language pathology and I am eager to learn different approaches to working with people who stutter. I was happy to hear that you really address what is happening in the person’s mind in relation to their stuttering. Even as a person who does not stutter, I find myself having dysfluencies when I think about my speech too much. I found it interesting when you mentioned that in order for people who stutter to become successful, they need to give up behaviors of trying too hard and concentrate on what the normal processes are. Have you ever experienced a client that was completely comfortable with their stuttering in all social situations, yet still stuttered severely? So, in addition to being comfortable with the fact that they stutter are they other specific areas you would train them to address? I loved that you mentioned it is perfectly ok to stutter. I hope someday there will be more stuttering awareness in the world, and people will realize that those who stutter are not inadequate; they just produce speech neurologically different that the rest of us. You asked a very interesting question, “Have you ever experienced a client that was completely comfortable with their stuttering in all social situations, yet still stuttered severely? ” I have to say that there is a difference between accepting the living comfortably with the fact that you stutter and being completely comfortable with stuttering. There are many people who have made peace with the fact that they stutter, and still stutter severely. However, I don’t think being comfortable with stuttering is possible. This is because the process used to create stuttered speech is not a comfortable process. So to answer the second part of your question: In addition to helping the client realize that stuttering is not something that is shameful, there is a lot of training to use a process that is automatic and really comfortable both physically and mentally. Thank you for posting this video, I found it very interesting and helpful! My name is Allison Cullinan and I am in my second year of speech-language pathology graduate school at Touro College. I am taking fluency disorders this semester and have been learning about the neurological basis behind stuttering. I have been learning that although stuttering is neurological, studies have been completed that show that with frequent speech therapy a PWS can “recover” from their disfluent speech. I enjoyed your realistic viewpoints when you were in stating that improvement does not change in one day, but with therapy PWS can see the positive impacts it has on their emotional and communicative lives. I had a couple of questions for you in regards to treating PWS clients. First, do you think it is beneficial to show them MRI examples and videos to understand that stuttering is a neurological condition causing them to have disfluencies? At times, some people have difficulty comprehending why they have a disorder and what is causing it. Do you try to explain that different parts of the brain control different aspects of communication and damage to those ares can cause stuttering? Also, when working with clients who stutter, are you realistic in their recovery? Do you believe that as an SLP we should be positive and have our clients think positive thoughts for the idea of recovering, or do you think we should teach strategies to live a functional life with stuttering rather than trying to “cure” them? I am a graduate student at Touro College in the Speech Pathology program. I am currently working with a 30 year old woman who is diagnosed with MR and severely stutters.She exhibits severe disfluencies characterized by laryngeal speech blocks, which results in difficulty getting her words out. I was wondering how can I help my client understand and develop the automatic and natural process for speaking when I believe this may be too complex for her to comprehend? Or is it that this approach isn’t appropriate for her? I really enjoyed your video. I’ve been fascinated with what we are learning about the how the brain works when people stutter. And I found your video to be very informative in the sense that “automaticity” is a key element in relieving the brain from over thinking in order to decrease stuttering. When working with clients who can’t understand directions and explanations, I use a lot of modeling and playing vocal or phonological games. When they imitate correctly I give them a reward, either verbally or a chip or whatever. I might also compliment them on their nice voice or clear speaking. Only rewarding when the response corresponds to what you are modeling. Thank you for sharing with us through this video! It is a great reminder to approach stuttering from a holistic point if view. I think you have some great ideas about changing a person’s state of mind and encouraging them in ways other than just fluency techniques. I also agree that new research needs to be encore orated in our therapy, not just what we have believed over time.